We’ve often heard that teams should be long lived and stable. But what if the advantages or reteaming would be much larger than the disadvantages of changing team composition? In this episode we explore the topic of Reteaming and what Heidi has been developing and discovering that helps teams thrive when they change. Heidi’s been in the software industry for 17 years and has a masters in teaching English. She has been a part of two successful startups. She was on the initial team that invented gotomeeting and gotowebinar at the first startup. She is currently Principal Agile Coach at AppFolio, Inc. where they create software for property management companies and law firms. 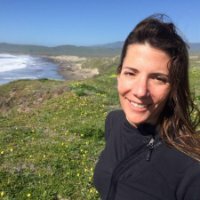 She started there in 2007 hired as a Scrum Master – trained by Ken Schwaber and with Pivotal Labs for more than a year. She became a co-active coach along the way and is certified by the International Coach Federation and the Coaches Training Institute. She is currently writing and speaking about Reteaming – that is, how its valid and desirable to have changing teams as opposed to long running, unchanging teams. You can link with Heidi Helfand on Linkedin, or connect with Heidi Helfand on Twitter. You can also follow Heidi’s blog at: http://www.heidihelfand.com/writing/.